We still have to be vigilant and make sure the services are good enough and person centered, and no one makes anyone feel ashamed for accessing this type of health care. 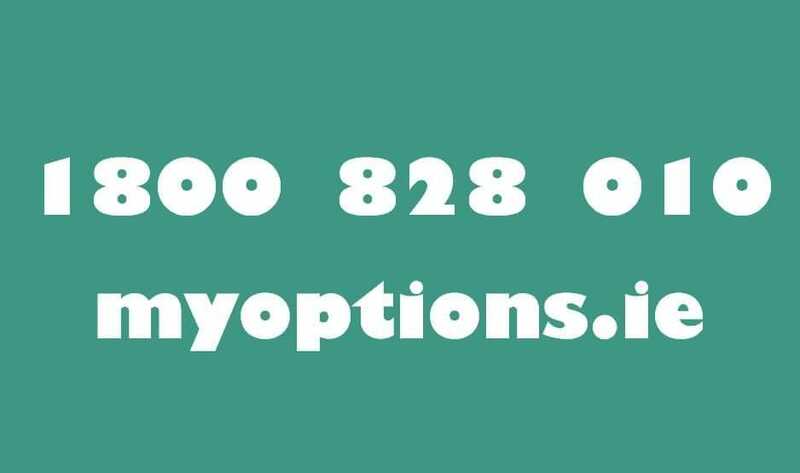 1800 828 010 for #freesafelegal Abortion in Ireland, https://www2.hse.ie/unplanned-pregnancy/ … If they can not help you @AbortionSupport & @WomenHelpOrg maybe able to. It was a wonderful evening, I got there early, meet Mr Hamilton, gave him a packet of his fav biscuits, did our prep work and then it was on with the show. It was a fun and wide ranging conversation about his work, how he works, what works for him and how everyone has to find what works for them, to how science fiction books ideally are to make people think and consider questions they may not otherwise. He was lovely in person, very much a gent and after the event we popped over to Eddie Rockets for a burger and kept talking away. 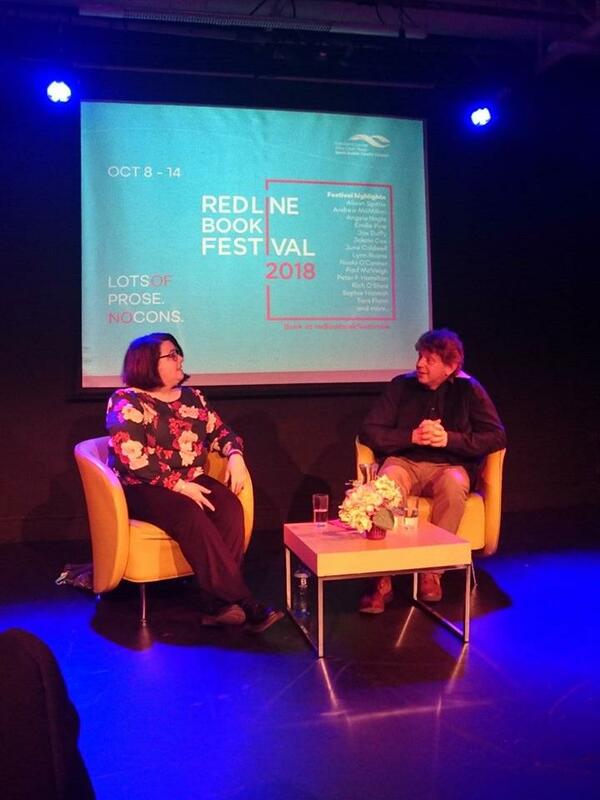 Thank you so much to https://www.redlinebookfestival.ie/ for the opportunity. 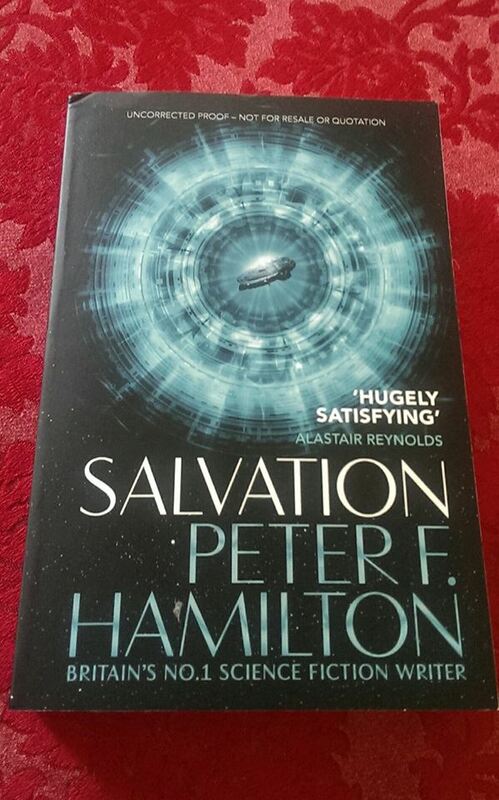 Salvation is out now and it is the start of a new trilogy. They listened, We did it! We did it. They listened. Reflecting on last weekend’s Yes vote. Shouts outs in this to the members of TFMR Ireland, I hope this means they don’t have to tell their stories again, and esp to Amanda Mellet who is suing Ireland and winning put pressure on the Government to resolve this. Also to Tara Flynn, if you can buy her books as a token of thanks and support. To Amanda Palmer who’s book the Art of Asking and her sharing her own stories about her abortions helped me long my way. To everyone who put their shoulder to the wheel, who helped start and grow the abortion rights campaign, who set up other groups, who held meetings and did stalls when there was no inkling of a referendum, to all those who marched, leafleted, who canvassed, to those who could not, but had the important conversations with the people in their life, and all those who shared their stories. They Listened, WE did it. Thank you Pope Francis & the hierarchy of the Roman Catholic Church for your part in #repealthe8th. See the thing is, the Roman Catholic Church last year changed its policy in relation to excommunication in relation to abortions. It used to be if you had an abortion or helped someone have one, you were automatically excommunicated, & need to see a bishop to reconcile with the Church. In 2016 the RC Church had a year of extraordinary mercy, and down grade the level of sin, so you could see your local parish priest to be reconciled. So many people, mostly women did this, that they down graded abortion & helping in any way (money, info ect) to a matter for your parish priest permanently. Which means having an abortions or being complicit in someone else having one, became the same level as ordinary Sin. This was a huge shift in attitudes which is rarely spoken about. It made it easier for many mass attending Catholics, to #VoteYes. I have devote Catholics in my life, the conversations around this have been fascinating. And when the year was done the RC Pope (he is one of 3 popes) extended the terms permanently. So your parish priest who’d you’d confess all your everyday sins to, could absolve you from your sin of abortion and reconcile you to the church. I am not Roman Catholic, but I know women who are, who use contraception, who have had abortions and this brought them ease and comfort. I genuinely believe this helped us #repealthe8th, but I never saw it covered in our media, esp by religious correspondents, even when it happened, and it’s a seismic change. Knowing this I had zero concerns in taking part in performances of The Renunciation. The Refrain in it was “People of Ireland, lift up your voices. We are all worthy of our right to choose”. And we did. So thank you Pope Francis & the hierarchy of the Roman Catholic Church for your part in #repealthe8th. But honestly @Pontifex you are still wrong when it comes to LGB people & esp Trans people, protecting pedophiles, protecting abusers, wanting control of schools & hospitals & failing to make reparations. Maybe sort that before visiting. I’ve been rather sick the last week or so, I even lost my voice! But now that it is back I am going to record pretty much the speech which I have been giving all around the country for the last few years. I was invited down to Nenagh by the Tipperary for yes team. It was wonderful to meet them, some of them I have been chatting with on twitter for years. I had never been to Nenagh before and was looking forward to the trip. It isn’t a long journey down, it’s about two and a half hours, the same as getting to many other towns and city across the country. I was speaking with Nurse Polly from Midwifes for Choice, Arlette Lyons from Terminations for Medical Reasons and Matt Doncel from Lawyers for choice. We had a fantastic Information Evening in Nenagh last night! We had a lot of questions about what provision (services) will look like after legislation and how it needs to be Free, Safe, Legal and Local so that people don’t have to travel to far to access it, esp with the proposed 72 hour waiting time. Also about the process via which legislation goes through the Dáil and Senand, how that process may change the proposed legislation. After (fingers crossed) we get a Yes result on the 26th of May we need to support our TDs in bringing forward the legislation. We need to tell them the type of legislation and provision we want to see across the country. For a very long time the other side was regularly in contact with TDs making the point they would loose vote and possibly their seat if they did not fall in line with their ideology. 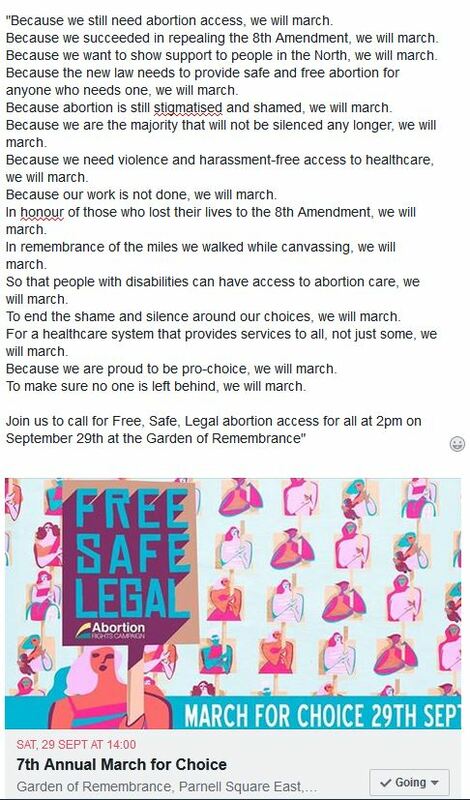 We need to let our TDs know how many of us are Pro Repeal and Pro Choice and that they would loose our vote for voting against healthdcare inline with best international pratice and which has a human rights framework. Again thank you to Tipperary For Yes for inviting me down to speak. Why we have the 8th Amendment in our Constitution. Hello from Wexford, I was in invited down by Wexford Together for Yes to be a speaker at their meeting last night in the River Bank Hotel. It was a great meeting with a lot of discussion, questions and people sharing their stories. I was one of three speakers, and was joined by Siona Cahill Vice President of USI and Colm O’Gorman of Amnesty Ireland. It was my first time on a panel with Colm and it was lovely to be in his home county with him. Why do we have the 8th Amendment? Because from 1935 to 1978 contraception was illegal in Ireland. Contraception was legal at the founding of our State but in 1935 given the rise in the importation of contraception (mostly condoms) the then Taoiseach after consultation with the Bishop changed the law so that the importation and sale of contraception was illegal. This remained the case until 1973 when a lady name May McGee took a high court case and won the right to contraception on the grounds of privacy in marriage, but it took 5 years before legislation was passed and enacted. The fact contraception was made legal on the grounds of privacy caused a hell of a stir as it was on those grounds in the USA that abortion was made legal. And so the conservative forces set about working to get something in constitutional law which would forbid abortion. And here we are 35 years later working to undo that, so that we may have compassionate healthcare here in Ireland. 24 days to go. Keep having the chats, the discussions. They are what is important. I had a lady ask me as I boarded the Wexford bus yesterday where did I get my badge as she hadn’t had a chance to get one yet. I gave her mine. She asked was I sure and I told her no bother I would get another one at the meeting in Wexford town, she said she couldnt make that one cos of her kids, but would be making the fundraiser in a few days in Gormanstown. Talk to as many people as you can. Again thank you to those who donated to my go fundme for making all this possible. Next stop for me is Dundalk on Wednesday the 2nd of May in the Táin arts centre at 7pm, Hope to see more of you there.